Click the Plus button to create a new category. Click the Minus button to delete a category. Double click on a category to change it name. 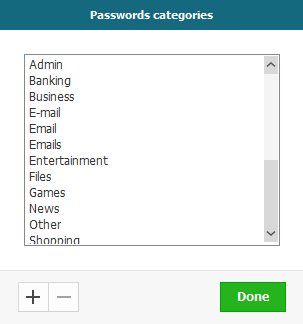 You can also add categories on the fly. 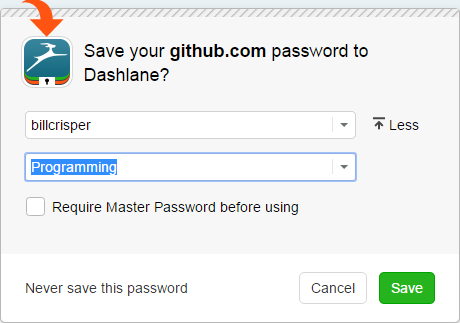 When you save a new login, just click in the category field and start typing. 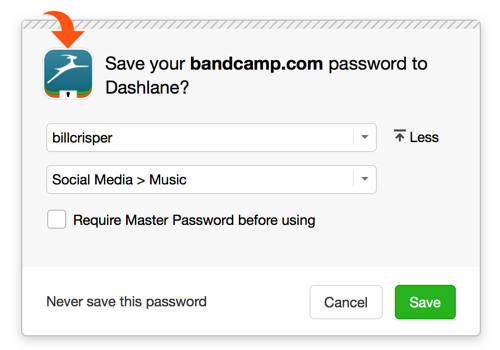 You can create custom categories by going to the Passwords section of the Dashlane application and selecting Tools → Edit password categories. 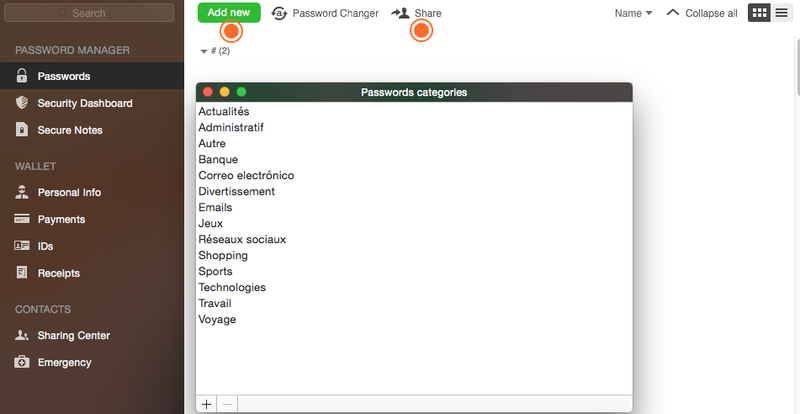 You can also add categories on the fly: when you save a new login, just click the Plus button next to the category field and start typing.